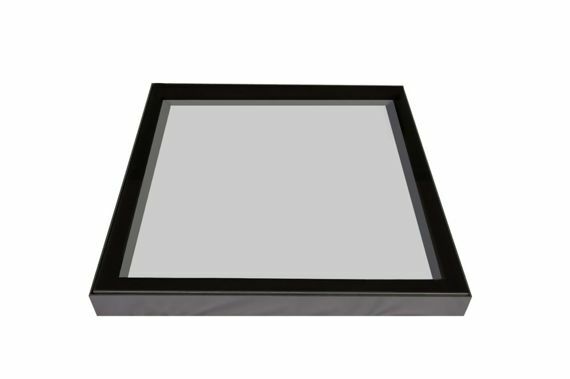 A flat fixed rooflight available in black or grey with bespoke sizes. Our high performing contemporary fixed non-opening thermal rooflights are manufactured at our 70,000 ft purpose built state of the art factory. 0.7 U Value Tripple Glazed Roof Lights can be manufactured in widths 400mm to 1300mm and Lengths 400m to 2800mm. However, the maximum overall size cannot exceed 3.25 Sq. Metres. Please note all sizes are internal from timber to timber.